We all probably have a favorite actress, one who captivates us every time we see them on screen. What makes them so great, though? Obviously, their acting skills play a big role in why we enjoy watching them, but there is more to it than that. You can tell how much an actress invested in her role by how far she was willing to go to bring her character to life. If the person she is portraying is supposed to be skeleton-thin, then an actress would have to go above and beyond to make it a reality. There are countless actresses out there who really take things to the next level with their acting, which includes looking the part. Sometimes they will shave their heads, lose quite a bit of weight, or even gain some pounds. 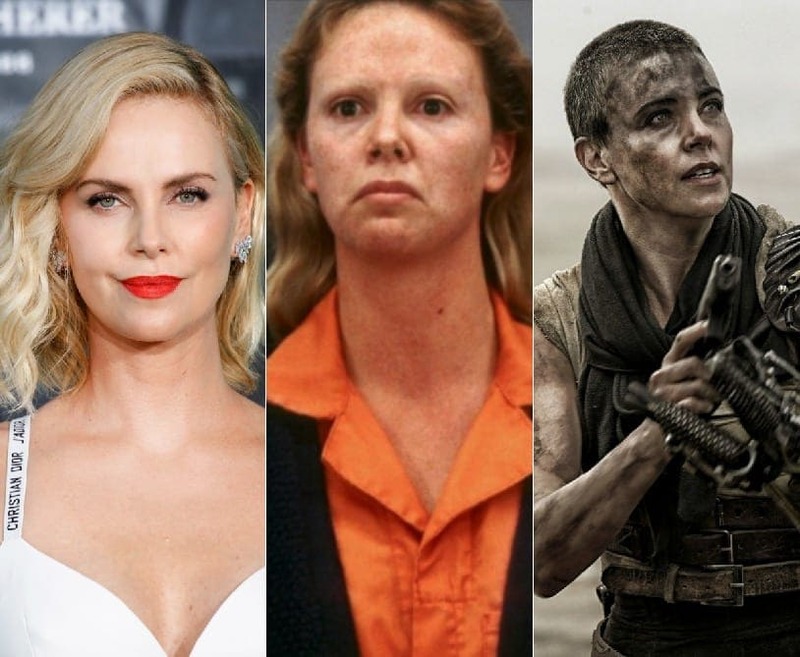 There are even actresses who completely transform themselves for a part. They do all of this so their character is believable and to make sure we enjoy every second of what we’re watching. Here are some actresses who did just that and we love them for their commitment to the their roles. Though the storyline of The Girl with the Dragon Tattoo is dark and twisted, there is one thing about the film that is truly incredible, and that is the star actress. Rooney Mara is a strikingly beautiful woman, but in this particular movie, she becomes a gothic outcast who may just give you the creeps. 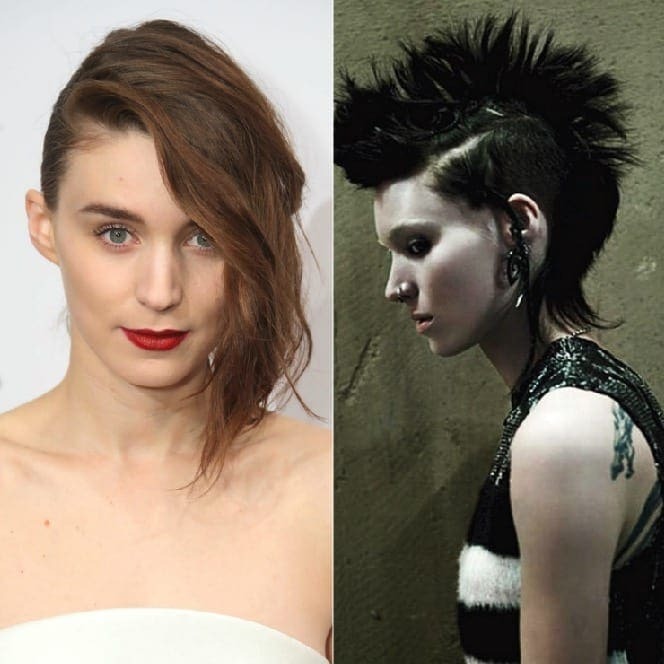 Mara was rightfully nominated for an Oscar and a Golden Globe for her portrayal of Lisbeth Salander. Though Meryl Streep obviously deserved both awards, we can’t help but feel Rooney was snubbed. Abby Sciuto is probably the best part of NCIS. The quirky goth character may work as a forensic scientist, be surrounded by death daily, and be fascinated with the supernatural, but she is unusually happy and hyperactive. While some of her tattoos are real, the spider neck tattoo is fake. The actress who plays the beloved Abby is Pauley Perrette and she is actually a natural blonde; she’s just dyed it for so long, few people know this. In fact, Perrette had a near-fatal allergic reaction to black hair dye in order to keep her hair dark for the character. She said that Abby wouldn’t be blonde, so the producers had to find an alternative solution. 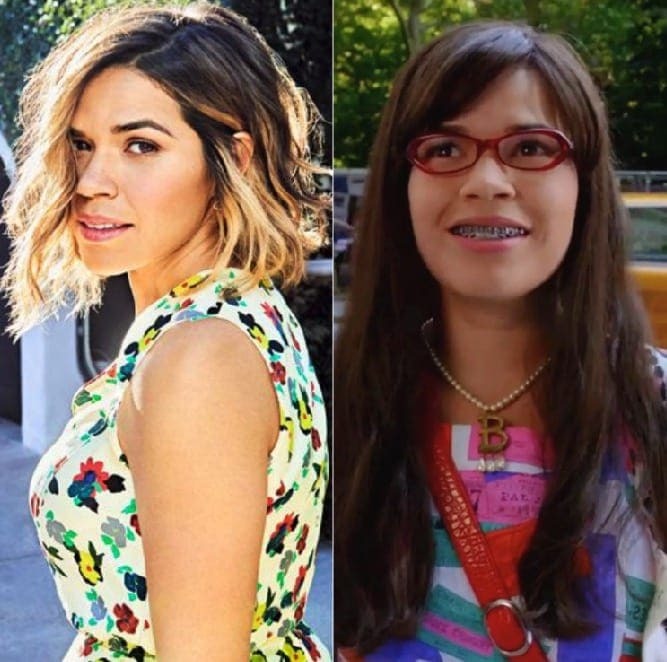 There is a reason America Ferrera won an Emmy and a Golden Globe for her performance in Ugly Betty. It’s because she was absolutely captivating and put her heart and soul into the role. Ferrera seems to always play characters with self-esteem issues like in The Sisterhood of the Traveling Pants and characters who are not considered to be conventionally attractive like in Ugly Betty. Than being said, we loved her regardless and Betty Suarez quickly captured our hearts. With her adult braces, glasses, and questionable taste in clothing, Betty became a force to be reckoned with and Ferrera’s awards were very well-deserved. The show may have ended in 2010, but we’ll aways remember it for its greatness. Mayim Bialik is a woman of many talents. Not only is she an actress and an author, but she also has her PhD as a neuroscientist. It’s suiting because she also plays a neuroscientist in the wildly popular sitcom The Big Bang Theory. 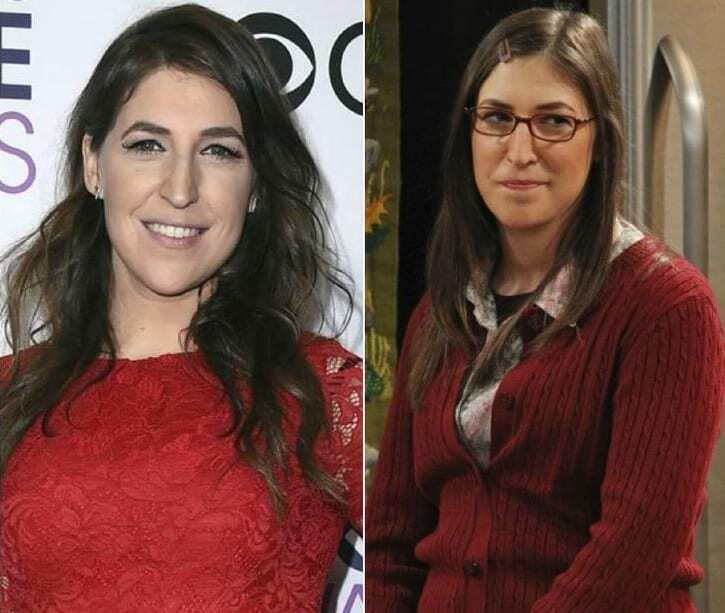 Amy Farrah Fowler is definitely a bit strange and she has some interesting choices for her outfits, but she still managed to win the heart of the nerdy and awkward Sheldon. 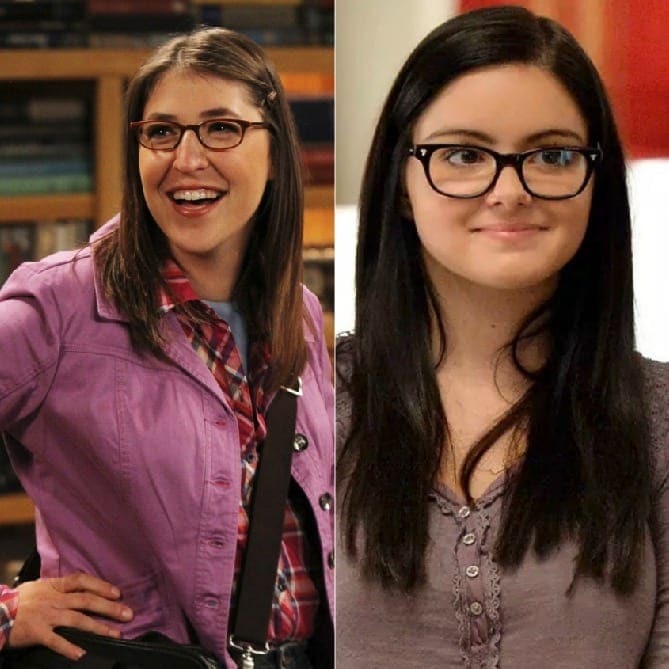 The two fall in love and have an adorably nerdy romance throughout the show. Mayim may be a scientist in real life, but she certainly has better taste in clothes and doesn’t wear barrettes in her hair. 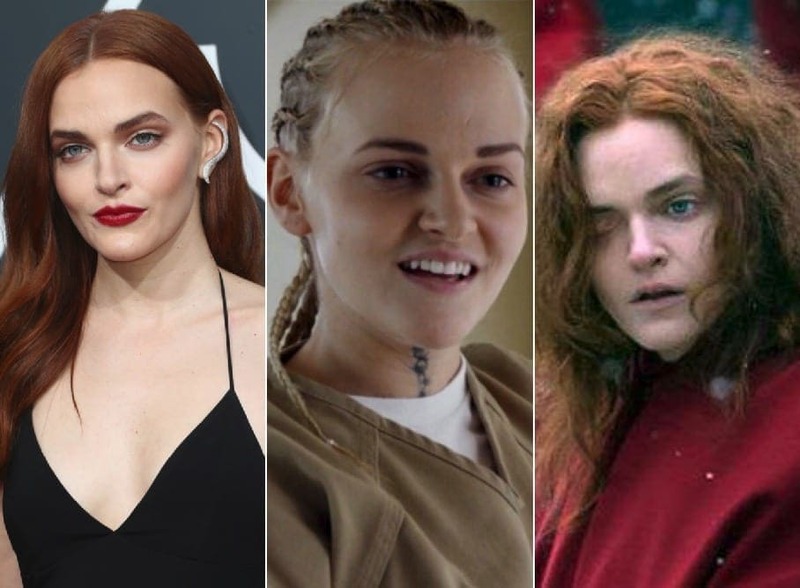 Madeline Brewer may be new to the acting scene, but that doesn’t mean she hasn’t already made her mark. It really is unbelievable to think that it wasn’t a seasoned Hollywood actress who portrayed the lovable Tricia Miller in Orange in the New Black – it actually was Brewer’s first role. She really went all out for her debut, not only dyeing her hair blonde, but braiding it into cornrows as well. She also played Janine, a mentally unstable woman who has her eye removed as punishment in Handmaid’s Tale. It wasn’t highly-acclaimed, but G.I. Jane remains Demi Moore’s most well-known film and she certainly captured audiences in it. What makes it so iconic? Well, the woman did shave her head for the role of Jordan O’Neill! 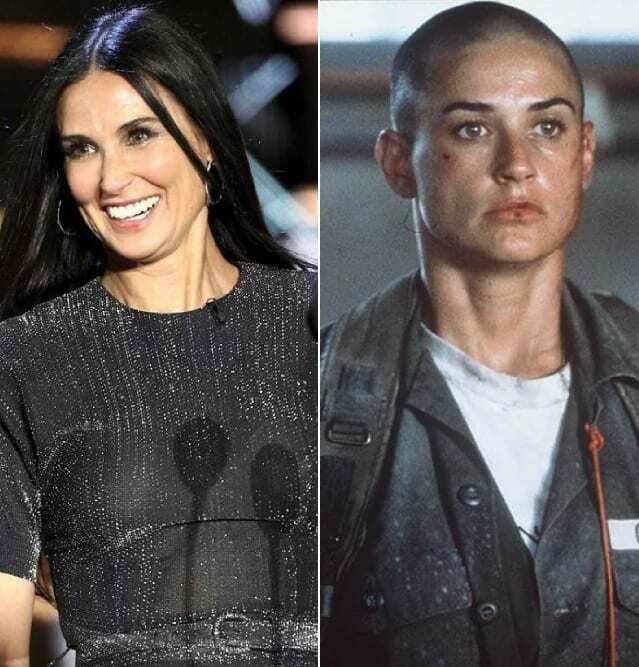 Most specifically, Moore actually shaved her head on-set, meaning all of the emotions were real. People are still talking about Demi’s bald head over two decades later, though the reviews suffered and the movie did not do so well. At least she was praised for her commitment to her art, right? Shannon Purser is another young actress who is really making something of herself. 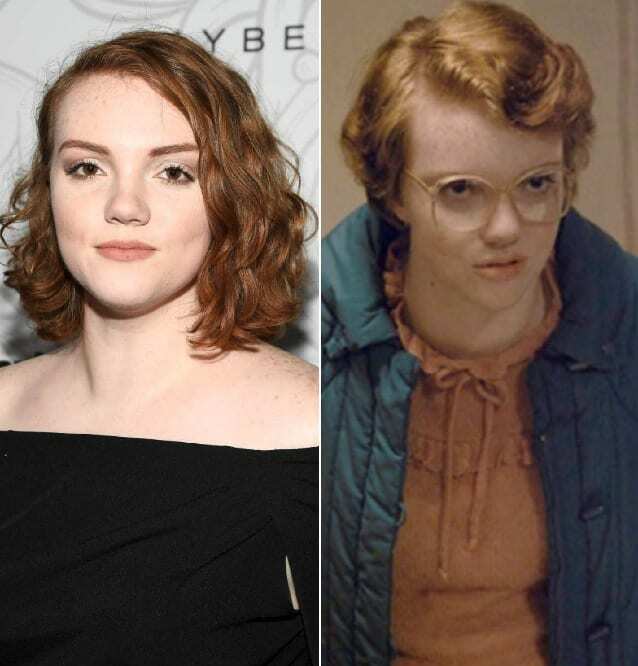 After her breakthrough performance of Barb on Stranger Things, she went on to star in the musical drama Rise. She also starred in the film Sierra Burgess Is a Loser and has a supporting role on Riverdale. Purser’s most impressive role is probably Barb because her dedication to the character demanded our attention and never let it go. Everyone kept wondering “where’s Barb?” and the dorky best friend became a substantial part of the show. 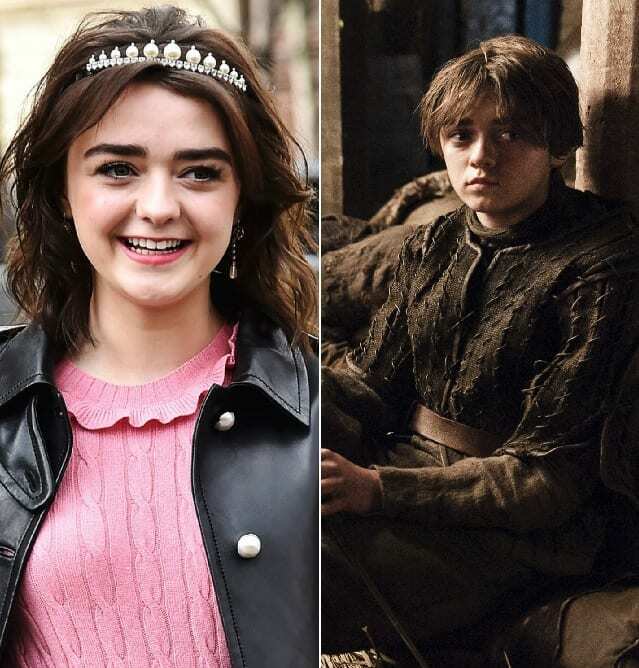 Maisie Williams, or Arya Stark if you will, has become quite the talk of the town since being cast in the adventure phenomenon that is Game of Thrones. Not only did she become blind for an episode, but probably her biggest transformation is when she actually poses as a young boy. 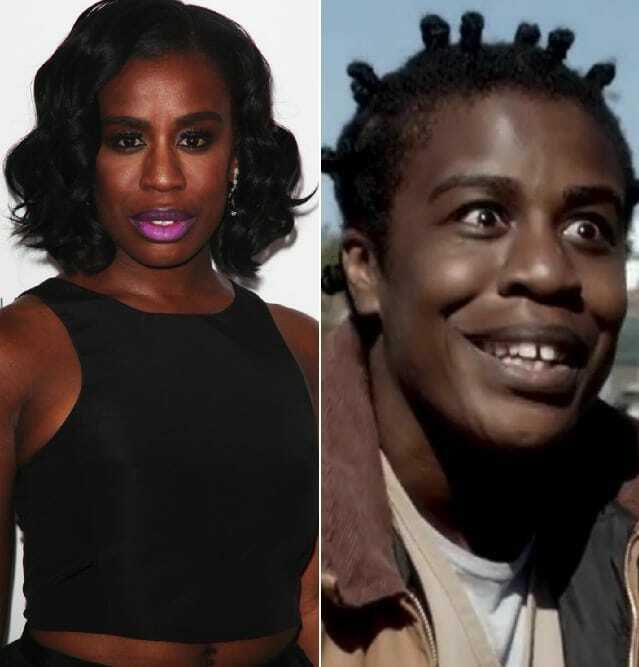 The character of Suzanne “Crazy Eyes” Warren needed a strong, talented, and committed actress to play her. We’re pretty sure that no one in the world could have taken on this role better than Uzo Aduba. She was perfection as Suzanne and made the character not only one of the funniest, but one of the favorites. While Warren is known for her crazy and creepy appearance, Aduba is actually quite pretty in real life. She truly changed her appearance to take Crazy Eyes to the next level. While many people just assumed that the person who brought the character of Pepper to life was born looking the way she does, it turns out, this is far from the case. 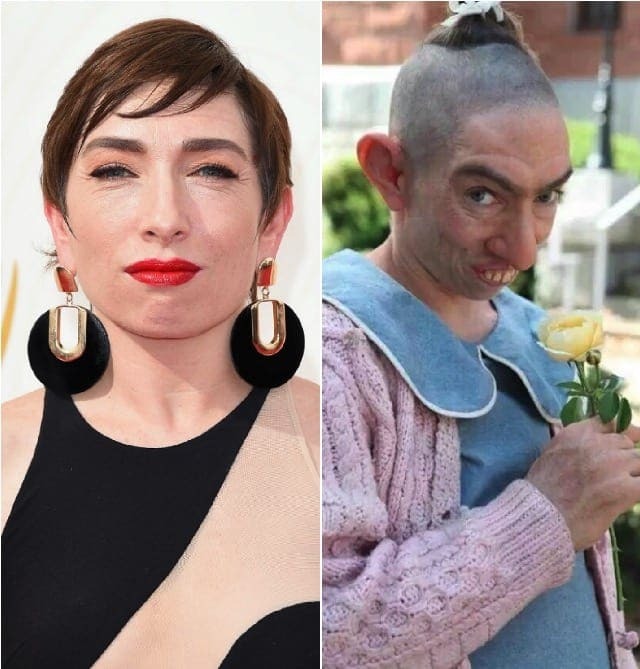 Naomi Grossman went through a complete transformation that took hours every time to turn into one of American Horror Story’s most adorable and beloved characters. While Pepper is special and unique in her own way, Grossman needed a lot of work to become her because, she looks, well, quite a bit more attractive in reality. Anne Hathaway has been in Hollywood for years and she really has just gotten better with age. We wanna talk about two specific roles she has played, however: her breakthrough and her Oscar-winner. Though she spent the beginning of the film looking rather ridiculous, she actually looks more like the post transformation version of her loser-turned-princess character Mia Thermopolis. 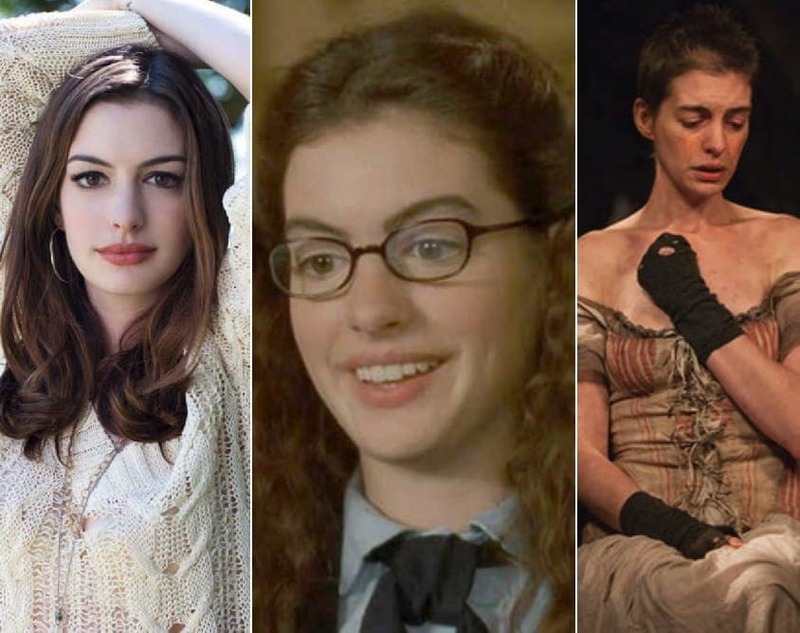 In 2012, Hathaway shaved her head and became scarily thin to portray Fantine in Les Misérables, proving once again she has what it takes to be a noticeable actress. Lizzy Caplan has become known for her sarcastic characters, but the one she is probably most famous for is definitely one for the books. 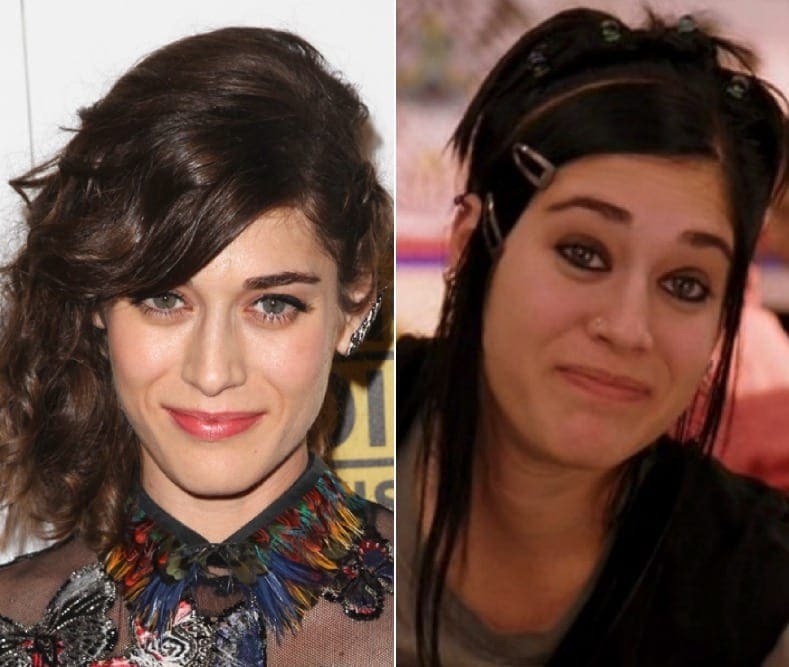 Janis Ian is someone who doesn’t care what other people think and her look proves that. Producers actually had a hard time turning Caplan into Ian because they said she was just too pretty for it. Well, they managed just fine, and Janis is probably one of the most quotable characters and definitely a fan-favorite in Mean Girls. 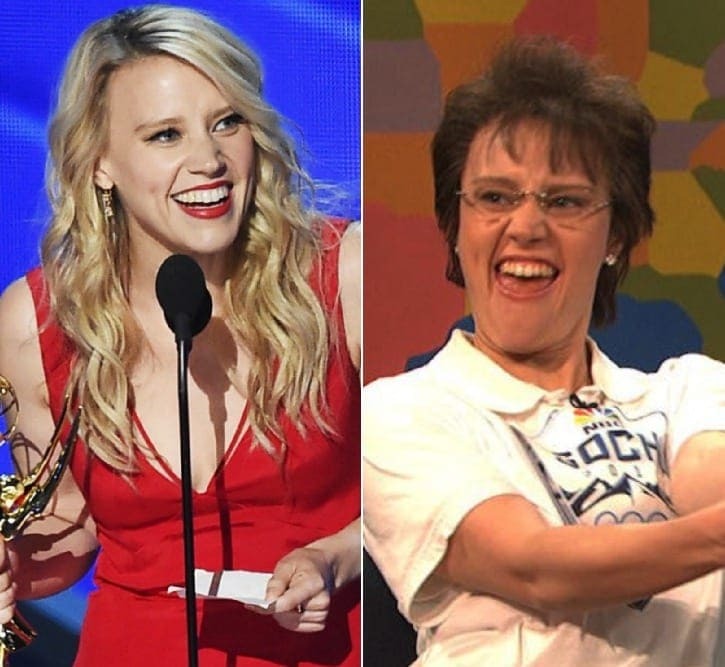 There’s a reason Kate McKinnon has won two Primetime Emmys – the woman can act! She knows what it takes to put herself into a role and has been making us laugh since she first started on Saturday Night Live. Whether she is becoming Hillary Clinton during Weekend Update, or being her weirdest self as tennis player Billie Jean King, we have enjoyed every second of McKinnon’s time on the sketch comedy show. We are always looking forward to what she’ll do next. Margot Robbie is certainly one actress who has caught the world’s attention over the last several years. This talented young woman has proven that she is here to stay with memorable role after memorable role. Perhaps her two most iconic are ones where she had to completely change up her look. 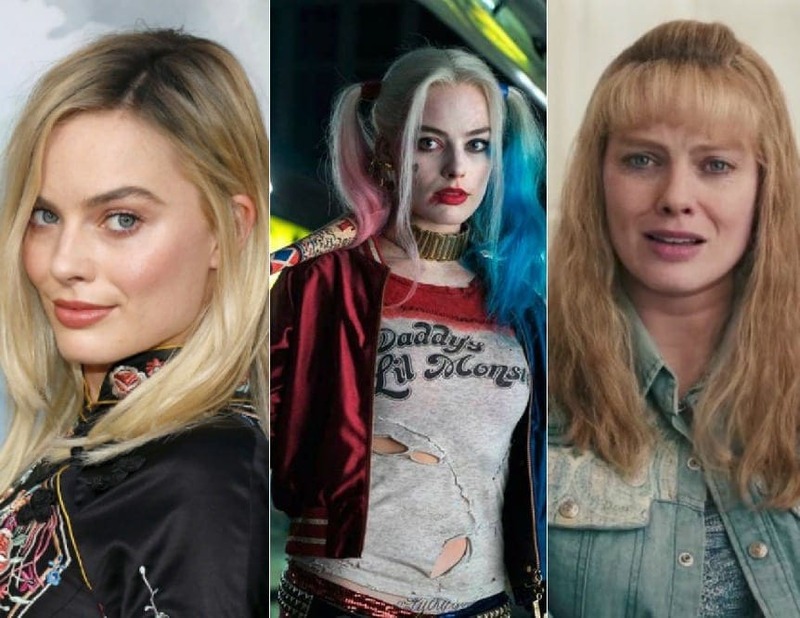 In Suicide Squad, she went freaky to become Harley Quinn and in I, Tonya, she ditched the traditional “pretty girl look” to become Tonya Harding. Thanks to her dedication in the latter, Robbie landed multiple award nominations. 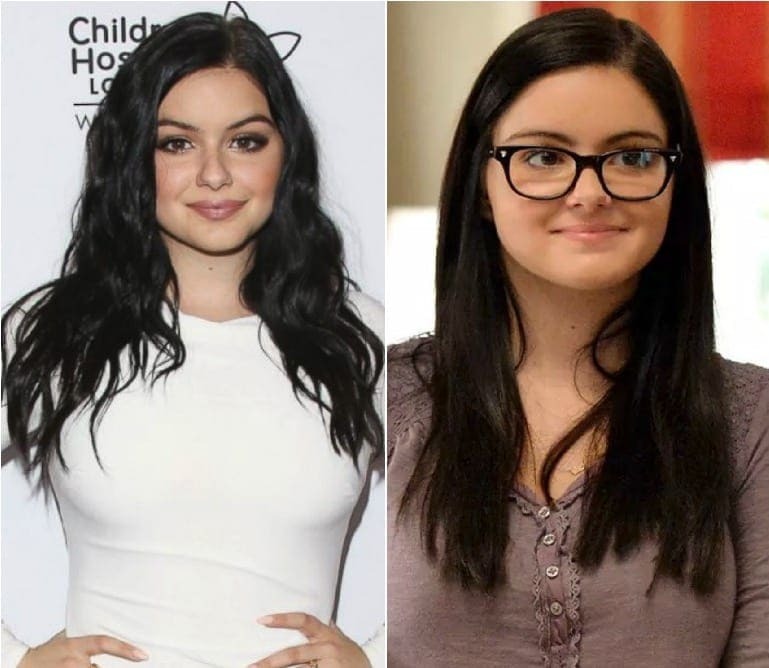 If you’ve been keeping up, you know that Ariel Winter has blossomed into quite a striking woman over the past few years. She has no problem flaunting this, but she does have to remain modest and calm during filming of Modern Family in order to make her character of Alex Dunphy believable. She plays the middle child and is the nerdy overachiever who would rather study and get good grades than go out with friends or have a boyfriend. Well, Ariel, we love you in real life and as Alex! If you ask just about anyone who their favorite character is on Stranger Things, they’ll all probably have the same answer: Eleven. 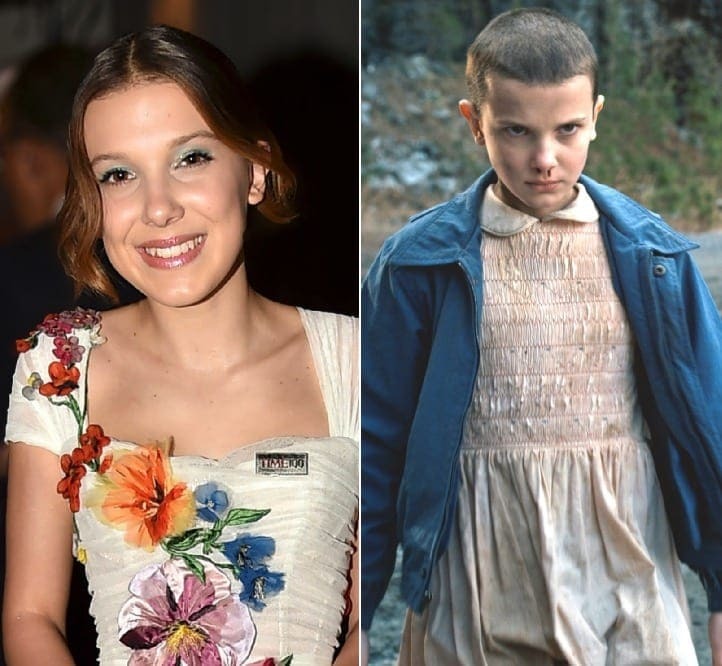 Milly Bobby Brown is sensational in this show and she has taken the world by storm as she quickly becomes one of the biggest young actresses of her time. She knows what it means to take on a role in its entirety and that’s exactly what she does when she becomes the quiet and somewhat weird, yet loyal friend in this fantasy Netflix series. Charlize Theron shocked the world when the film Monster was released in 2003. No one could believe that the woman they were seeing on their screens was her. Theron showed how far she was willing to go for a role by gaining 30 pounds to portray convicted serial killer Aileen Wuornos. The normally thin actress claims her purpose wasn’t to get fat, but to let herself go and really get into the character’s mindset. She claims she ate an unhealthy diet of potato chips and doughnuts to prepare. It’s no wonder she won an Oscar for her performance. In 2015, she looked more like her self, but shaved off her hair and died it brown for Mad Max: Fury Road.